URI is highly contagious in cats. Aww, does kitty have the sniffles? What is just a nuisance common cold to humans can be a life-threatening event for cats. It's important to get an early diagnosis and treat URI aggressively. Why it derails cats so easily is a mystery, but there's hope for a good prognosis. URI is the acronym for upper respiratory infection. It can be caused by an invasion of bacteria, but viral infections are much more common. It affects the cat's nose, throat and sinuses. It is very common among cats in shelters and when it rears its ugly head, shelter managers and staff swing into action to stop it dead in its tracks. If left untreated, URI can spread like wildfire among shelter cats. If your cat has the sniffles, the first thing you need to do is isolate that cat from others in the household. Then, get to the vet for some antibiotics. Chicken soup and vapo-rub won't clear this problem up, it calls for the big guns. The incubation period -- that is, the period of time between when the cat is first exposed to the virus and the time the symptoms begin -- is two to ten days. The initial symptoms of URI in cats is similar to cold symptoms in people. They sneeze, sniffle and cough. They have runny noses and the discharge could be clear to colored and cloudy, becoming more so as the disease progresses. 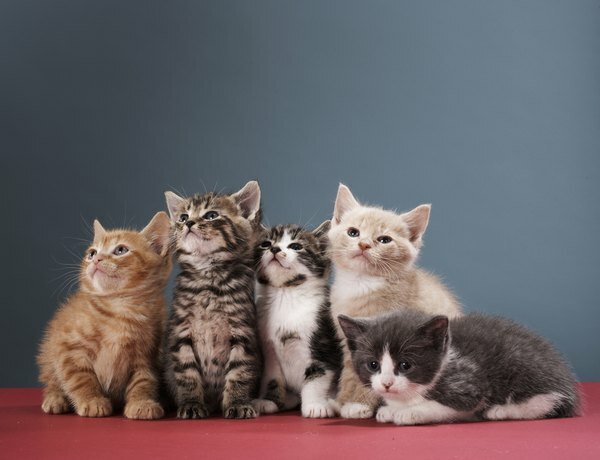 Many cats will develop a fever and refuse to eat or drink. Kitty will breathe through her mouth because her nose is stuffy. She may drool. It's important not only to isolate a sick cat from others, but to ensure everything the sick cat has touched is sanitized as this virus is shed onto virtually every surface on which your cat sneezes, coughs or breathes and can last up to a week outside the host. Once kitty is isolated it's a good practice to place a nebulizer, or humidifier, in her room to help her breath or put her in a bathroom for 15 minutes twice a day with a humidifier. Most cats with URI can be treated at home as long as it is under the indirect supervision of a vet. This means your vet should be kept abreast of any changes in your cat's symptoms and prescribe medication as necessary. Antibiotics are the treatment of choice. Antibiotics don't stop viruses, but they are used prophylactically against opportunistic secondary bacterial infections. Treating a viral URI means treating the symptoms. If your pussycat is congested, give her an anti-congestion medication, if she is not eating, encourage her to eat by enticing her with smelly foods since her sense of smell is on the wane. Each cat recovers from URI at his own pace, depending upon the cat's overall health, the complication of the disease and the quality of nursing care. An otherwise healthy adult cat with a relatively uncomplicated URI whose owner wipes his runny nose, keeps his surroundings clean, provides nebulizer treatments and has been faithfully medicating him will recover faster than a cat who needs to fight the disease all on his own. Typically, URI lasts anywhere from one to three weeks, and kitty is contagious during this entire time. Kittens and geriatric kitties may take the full three weeks to recover. If the disease is not treated and is serious, it could develop into pneumonia, chronic breathing problems or even blindness. What Gravel Keeps Cats Out of Flower Beds & Bushes? 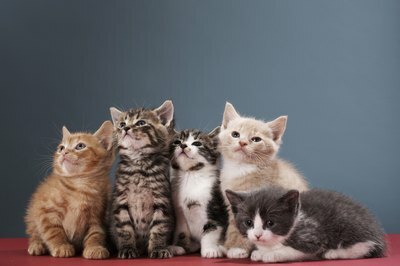 What Is the Human Age Equivalent of Cats? What Is the Meaning of a Cat Exposing Their Tummy? Do Cats Get a Stomachache From Drinking Milk? Is the Thyme Plant Toxic for Cats?